His Majesty the King instructed the Crown Prince last year, 2013, to stimulate the process of national dialogue and lift the country out of the political impasse it entered more than three years ago. Previous dialogue attempts did not yield a fruitful outcome. As everyone is aware, the Crown Prince is a popular and beloved figure who is greatly respected by the opposition and all political forces. Therefore, the Crown Prince’s handling of the issue of dialogue is important to all citizens. Economic activity, same as security and political stability, and civil and political rights is affected by the negative atmosphere and the absence of solutions to the crisis. The Crown Prince’s role is intended to lift the country out of the political deadlock, as political parties were unable to resolve matters in favour of any of them through their policy of ‘prevalence’. Some stakes were placed on a change in the regional situation for the benefit of one party or another, or to obtain more concessions at the negotiating table. However, the regional situation exploded more and more, to the extent that it no longer serves anyone, but rather exposes Bahrain itself to the repercussions of the violent changes witnessed by our region. On the other hand, there are political entitlements. The parliament, from which 18 opposition members pulled out of a total of 40 members, has become weaker in its representation of the community, according to many, and has become less effective in legislation and supervision. Now there is a new parliamentary contest as it has been announced in September 2014, that a new elections would be held on the forthcoming November 22nd. This necessitates the embarking at political understandings and common denominators that would lift the country out of the abnormal reality it experiences. 1/ Electoral Districts: the constituencies need to be more balanced and representative of the citizens, in addition to enhancing and ensuring the independence of the Supreme Elections Commission. 2/ Legislative Authority: Appointment of members of the Shura Council shall be in accordance with the procedures, controls and manner specified by a royal decree. Safeguards need to be in place to ensure that the legislative process is not disrupted in terms of the respect of the will of the legislature or the time frame. [There is] the possibility of directing questions to the Prime Minister and his deputies as well as accountability for holders of ministerial portfolios. 3/ Government Formation: His Majesty the King shall designate the Prime Minister to form the government after carrying out the traditional consultations about non-sovereign ministries. The Prime Minister-designate shall carry out consultations to form the government and present the government’s plan before the Council of Representatives for a vote of confidence. The formation of the government shall be inclusive of the four sovereign ministries. A/ Approval of the government’s plan by a majority of the members of the Council of Representatives at the first time. B/ If the plan fails to gain the confidence of the Council of Representatives, the Prime Minister-designate shall amend it after consultation, and re-submit it for the second time. Rejection of the amendments requires the majority of the members of the Council. C/ If a majority of members of the Council of Representatives rejects the government’s plan after amendments, the Prime Minister-designate shall amend it yet another time after consultation, and re-submit it for the third time. If the plan is rejected, the Council of Representatives shall be deemed dissolved, and the existing government shall continue to discharge affairs of the state until the election of a new Council, according to the provisions of Article (64) of the Constitution. 4/ Judicial Authority: To seek assistance of international expertise for the development of the judiciary in line with the best international practices , and to continue to promote the independence of the judiciary in the framework of the constitution and the laws in force. 5/ Security for All: Security is the responsibility of everyone, and everyone, must respect the laws in force in the Kingdom; reject violence, and stand united against terrorism and sabotage. Military institutions shall also be bound by strict controls that ensure the application of the conditions, set out by law, to be met by each individual enrolling or continuing service in military institutions. Foremost among such conditions is the requirement to refrain from dealing in politics and to respect the military discipline, traditions and customs, in order to preserve the dignity and prestige of the military service”. For his part, His Majesty the King responded to the Crown Prince’s letter stressing the ability of the people to embark on a promising future, and emphasizing the national fundamentals; the “foundations of our democratic march ”; the commonalities which “have and still are cultivating unity among our people irrespective of the diversity and multiplicity of their views and walks of life”, in addition to preserving Bahrain’s characteristic plurality, and the comprehensive national accord as expressed by the National Action Charter. HM highlighted the importance of national agreement and the recent constitutional amendments, as well as the laws and decrees pertaining to the development of the political and legislative structure. HM the King expressed confidence in Bahrain’s success in overcoming the current phase and reaffirmed his confidence in all segments of society, stressing that “the upcoming electoral contest and the people’s selection of their representatives will usher in a new chapter in national action”, where “these commonalities can be implemented and presented, where necessary, before the Shura Council and the Council of Representatives”. The King expressed his keenness on “Preserving the social fabric, national achievements and the active participation in the democratic march ensuring its sustainable momentum”, in addition to preserving national unity and shunning divisions and fanaticism. He further stressed on the importance of “the convergence of views, to reach common grounds that encompass all the loyal citizens of the Kingdom”. The points presented by the Crown Prince are still under discussion with the political parties. They merely determine the areas of discussion, and perhaps dispute, but they do not present complete solutions. This is intended as long as dialogue remains. In other words, we are dealing with the general headlines around which the debate is focused. Hence a great deal of the details is yet to be disclosed if the opposition decides to engage in the political process, and resolve the crisis through elections. In spite of our lack of knowledge of some details, the Crown Prince’s letter does meet several opposition demands. The electoral districts have been modified and became more balanced compared to the past. As to the legislative authority, the opposition wants it to be restricted to the Council of Representatives, and hence limit the powers of the appointed Shura Council. The opposition also demands consultation of all political forces, concerning those who are appointed as members of the Shura Council. But the Crown Prince’s letter was not explicit about the details, thus we have no knowledge of the debate going on between the political parties. Conversely, however, there was a clear text demanding that the opposition should not resort to any means of disruption of parliament such as withdrawals, or other means. The powers of the Council of Representatives have been increased to include accountability of the Prime Minister, his deputies and others, which represents a fair deal of what the opposition was calling for. 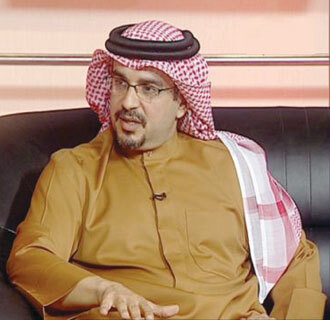 The Crown Prince’s letter hinted to some role for the political forces, including the opposition, in the event of their participation in the parliamentary elections. The letter mentions a role in the formation of the Cabinet through the Council of Representatives, whose confidence is necessary for the cabinet, as well as a role in approving the government plan, and perhaps there is even more to be assigned. As for the subject of judicial authority, as an item of dialogue, there is a need to strengthen the independence of the judiciary and address the shortcomings attributed to it by the opposition. Finally, on the issue of security, it is agreed that all segments of the society must be represented in the security apparatus, while maintaining the recognised controls in its affiliated staff. In any case, breaking the political deadlock, and ending the state of political and social schism and security turmoil is a necessity for Bahrain with all its inhabitants, especially under the difficult circumstances witnessed by the region. We know that compromises are difficult for all political parties, but it is an urgent necessity, to lift Bahrain out of the bottleneck. In our view, the opposition is required to participate in the upcoming elections, not through circumvention by recommending elements from outside its ranks, but through its own members themselves. The opposition’s presence is necessary to end the crisis, to activate the Parliament; as it is necessary to boost confidence and normalize security and political stability. In contrast, remote participation (through recommendation) does not solve any of the basic problems. Concessions are required from both political parties. We hope to see the elections held with everyone participating. This shall herald a new beginning and signal the advance towards the future, rather than being locked up in the past.